Also esthetics. Having to do with a beautiful appearance. Refers to cosmetic dentistry. Also called occlusion, refers to how upper and lower teeth fit together. Also called orthodontics or orthodontia, braces are generally composed of wires and brackets. 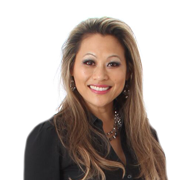 They use tension to realign permanent teeth for better occlusion, esthetics, and/or spacing. 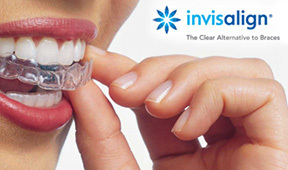 Clear braces or aligners, such as Invisalign or Red, White, and Blue are now popular alternatives to traditional metal braces. Plastic dental filling or bonding material that contains small glass or ceramic particles. Applied as a liquid and cured with a light or chemical catalyst. 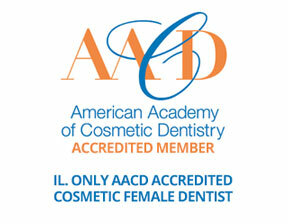 Also called esthetic or aesthetic dentistry. Procedures that correct imperfections in the appearance of a smile. Can include teeth whitening,veneers, etc. Portion of a tooth that extends above the gum line. Also refers to a lab-made restoration known as a cap. Also refers to the false tooth placed on a dental implant. White, hard tissue, outer layer of the portion of a tooth that extends above the gum line. Covers dentin. Amalgam or composite resin material that replaces tooth decay. Surgical removal (reduction) of gum tissue for esthetics or crown lengthening. A soft mold of teeth and gums to use for fabricating prosthetics and restorations. Restoration made in a dental lab, then bonded into the area of a tooth between cusps. Larger and stronger than a filling, yet not as significant as a crown. Application of veneers to correct the appearance of misaligned front teeth for cosmetic reasons. Small camera, usually on a "wand." Projects images from inside the mouth onto a monitor. Used for accurate diagnoses, patient education, records, and insurance claims. Lab-made porcelain or plastic veneer bonded to the front of a tooth. Misalignment of teeth that affects the bite, or how upper and lower teeth fit together. Also called bite, refers to how upper and lower teeth and fit together. Restoration made in a dental lab, then bonded into one or more cusps of a tooth. Larger and stronger than a filling, yet not as significant as a crown. Dental specialty that deals with alignment of teeth. Also called a prosthetic, refers to a false tooth or appliance such as a bridge, denture, partial, or dental implant. A treatment plan that includes various cosmetic and esthetic restorative procedures to improve the appearance of a smile. Bleaching teeth with chemicals. Can be done in one hour with a light or with trays worn daily for about two weeks. Cosmetic dental treatment that involves lab-made porcelain or plastic wafers bonded to front teeth to mask chips, cracks, misalignments, or other imperfections.